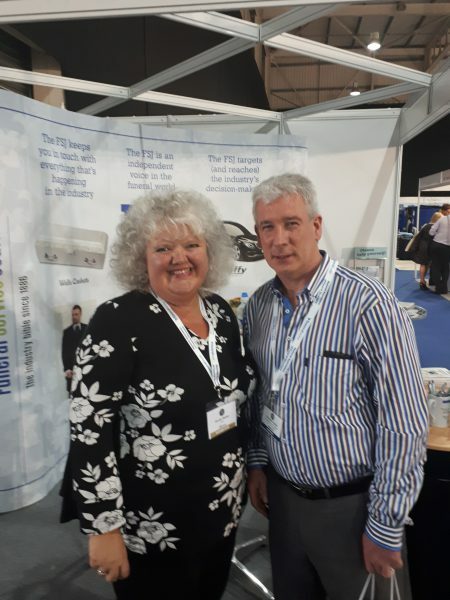 Fearghas Quinn Hearse and Limousines visited Stoneleigh Park, Birmingham to see the National Funeral Exhibition 2017, the biggest funeral trade show in the UK. 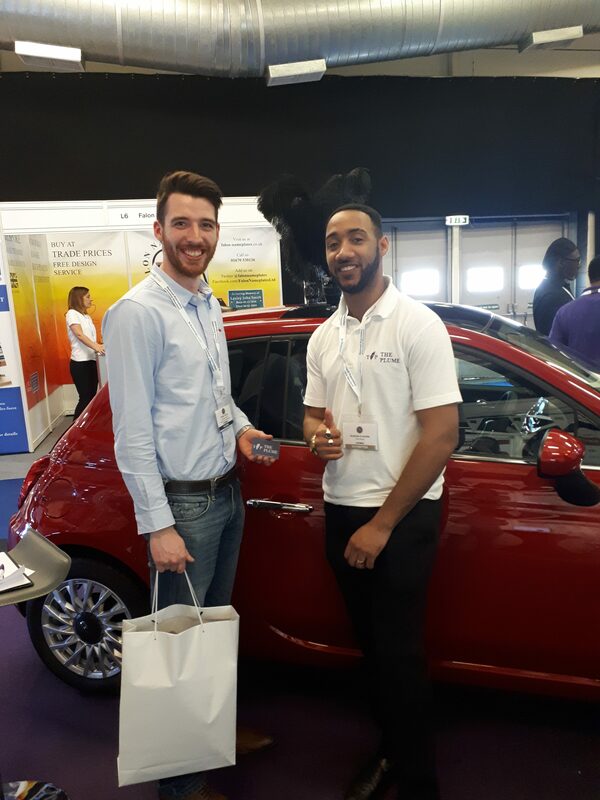 People came from throughout the UK and Ireland to see exhibits from a plethora of businesses within the industry, and coupled with some unique entertainment, it made for an incredibly interesting show. 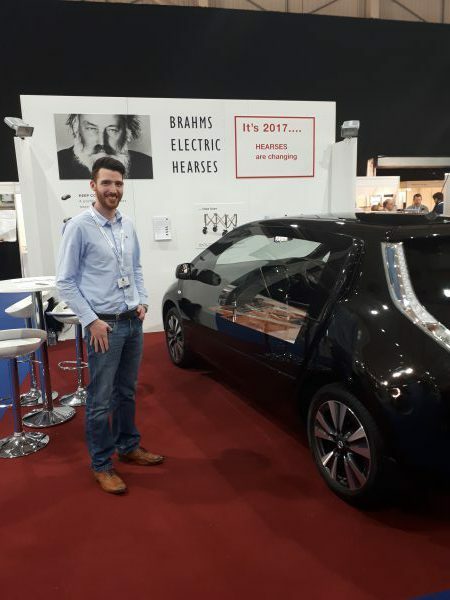 On one side there were a number of quality hearses and limousines on display with vehicles from Wilcox, Duffy, Coleman Milne and Superior UK, as well as an interesting new concept from Brahms Electric Vehicles. From a coffin perspective, there were some fantastic examples of workmanship with Somerset Willow providing an eco-friendly option, and Batesville offering a unique polished bronze casket, similar to that used to bury Michael Jackson. 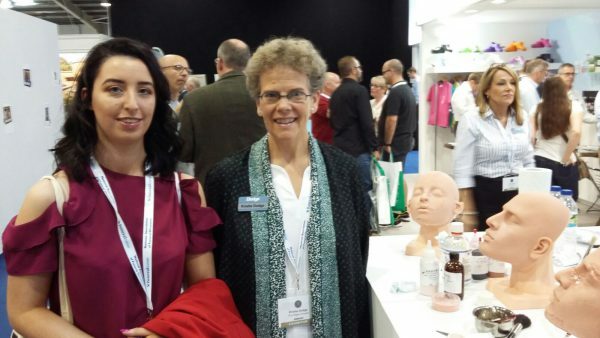 The Dodge Company showed us some great work on facial reconstruction, demonstrating a number of products and the high level of artistic skill of their staff. Odlings Memorials demonstrated their skill as well as some stunning examples of memorials and monuments. The Plume UK also gave a unique solution for funeral directors wanting to distinguish vehicles in the procession. The day was broken up at various intervals with some talented musical interludes as well as great food on display. 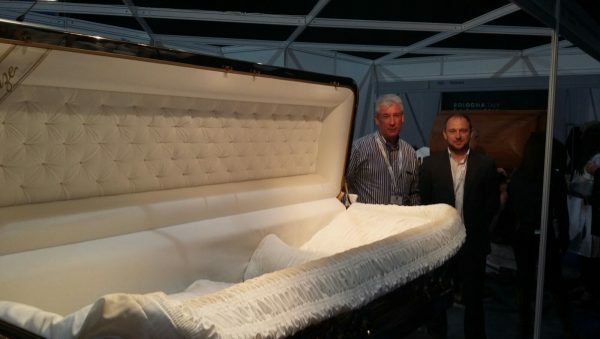 Some other notable exhibits included the largest coffin in the world, which was set up as a bar on stand, and a Reliant Robin hearse, both of which got plenty of attention. 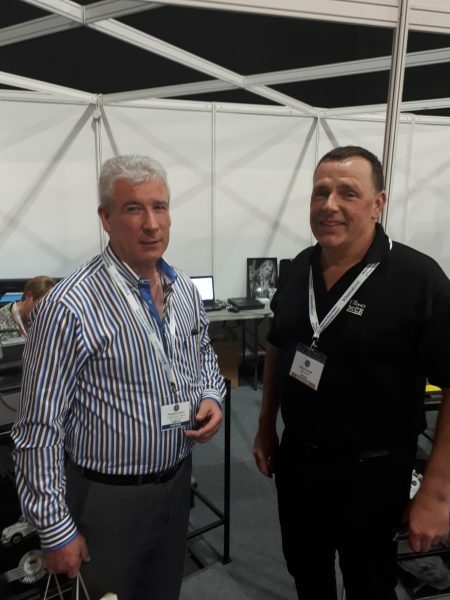 All in all, it was a great day out at the National Funeral Exhibition Birmingham, and all the exhibitors seemed to be very busy from start to finish, ensuring a productive day for everyone.